Everything you eat – from a salad to a slice of pizza – goes through the same basic process once you eat it. That process provides your body with the energy and nourishment that it needs to survive. But how does it work? 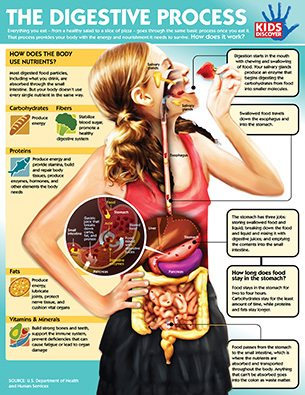 Find out with this informative, easy-to-understand infographic on the digestive process!